J. 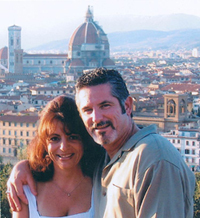 Stone Promotional Advertising, LLC a woman owned company was founded by Debra and Gary Medeiros, bringing you over twenty five years of combined experience in the Promotional Advertising and Apparel Industry. We supply businesses, organizations and individuals locally and nationwide with imprinted products such as awards, drinkware, food gift baskets, eco-friendly/green products, writing instruments, technology related items/flash drives, print material such as brochures, letter head, note pads and folders, TSA approved backpacks and brief cases and most anything you can put your logo on. We also specialize in custom screen printing and embroidery including, but not limited to T-shirts, polo shirts, caps, jackets, uniforms, and brand name apparel such as Nike, Adidas, Ashworth, Antigua, Callaway, Cutter & Buck etc. Our team of graphic designers are capable of handling the most difficult design projects, as well as duplicating existing logos. Networking with thousands of suppliers provides a vast selection of innovative products suited to fit all of your marketing needs. Our goal is to establish a long lasting business relationship, providing outstanding customer service, competitive pricing, and custom marketing ideas and solutions. J. Stone Advertising has established working relationships with suppliers dedicated to meeting your “in hands” date. We strive to exceed every client’s service expectations. We treat your business as our business and search to provide you with Promotional Products and Apparel to fit your every need. We look forward to the opportunity of working with you in the very near future!